It has been argued that producing biofuel from biomass, such as corn for ethanol, is counter productive, contributing to shortages and the rising costs of food products. Some large companies are participating in a biofuel land grab in which they go to developing countries to buy up land and use it for planting of biofuel crops. This may not be advantageous to the community in the area, however. This is especially a concern for countries that already have food shortages and famine. This is one reason why an alternative method should be chosen to produce biofuel. An example of such a biofuel crop would be to use non-consumable vegetation, like switch blade grass or other similar vegetation types. There are a few things to be considered when determining the usage of land to produce crops for biofuel. The goal is to see if it is possible to make use of lands and/or crops that would not affect the regular production of food crops for human consumption. Consider the amount of land available for biofuel crop production. So far, the only land available for biofuel crops are marginal lands. This means that these lands have little productivity, are abandoned or are of little use for agricultural purposes. Changes in land use due to biofuels model can be made, making it advantageous to use of this type of land because it would lead to little or no effect on current food crops. Also, the marginal lands would only be watered by rain water, so irrigation or diversion of water from regular food producing crops would not be necessary. After researching the kind of marginal crops and lands that could be used for biofuel production, it was concluded that by using low-impact, high-diversity crops (LIHD), the amount of land available for biofuel crops would be 1,107 million hectares. This would account for roughly 25 to 56 percent of the of the world’s biofuel consumption. The more “marginal” one goes when considering acreage for biocrops, the more availability of land for production of said crops. Even though these lands would not be used for food crops in any case, they would be ideal for biofuel crops and would not interfere with food production. 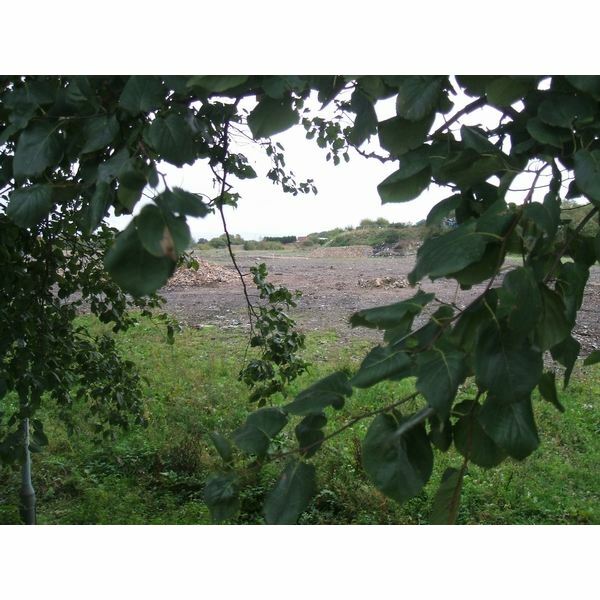 Examples of such marginal lands that are being considered are abandoned industrial sites, also known as brown fields. The soil on these sites is often known for being contaminated with chemicals from previous occupation of industrial facilities. Why not recycle lands that are useless for commercial purposes and use them for biofuel production? After all, brown fields are not used to produce food crops. Another accomplishment of this would be that the vegetation would provide nutrient uptake of chemicals of which are contaminating the abandoned sites, known as bioremediation. Hopefully this can be accomplished without affecting soil quality. A comparison study of growing biofuel crops on a typical agricultural piece of land verses a marginal brown field piece of property is currently being performed to see if they can meet the ongoing specification determination of meeting the standard of B20 biodiesel fuel. The results will display what kind of quality biofuel can be produced. Just Means: Are Biofuels Counterproductive for Energy Independence?